As is the case with nearly all the teachings of Holy Mother Church on human sexuality, her teaching on Holy Matrimony is much-maligned by modernity. Unfortunately, this is true not only of the external enemies of the Church, but also of many of her members. The question of the cause of this state of affairs, whether it is the result of malice, negligence, or innocent ignorance is not the one which I now intend to discuss. Rather, my aim in considering the goods of matrimony is four-fold. First, I want to examine the traditional teaching of Holy Church on matrimony, both as an office of nature and as a Sacrament. Secondly, I want to discuss some of the presuppositions embedded in a typically modern approach to matrimony. Thirdly, by comparing these two ideas, I hope to arrive at a clearer understanding of what ails the modern family, particularly with regard to the rearing of children. Lastly, I want to relate a proper understanding of the goods of matrimony to the idea of education itself. We should be in a good position to situate the education of children among the goods of matrimony as an ordinance belonging primarily to the family rather than the State. Understanding education in these terms, we can then evaluate the educational institutions in our world as being either properly ordered and conducive, or else a hinderance, to the natural parental rights and responsibilities with regard to the formation of their children. My hope is that by gaining even a slightly clearer perspective on these issues, we might be able to better diagnose the concrete problems we face in our homes so as to be able with prudence to go about curing these ailments. In order to understand the nature of Matrimony, it is necessary to consider the goods for which the institution exists. I will spend a considerable amount of attention upon not simply enumerating them, but upon their proper order and inter-relations. A lack of clarity with regard to either of these aspects is and has been the ground for much error. While it seems to me that Catholic teaching has been fairly strong in the last few decades on maintaining a proper enumeration of the goods of matrimony, there has been less emphasis on their order and relation. I will focus more on this latter aspect. The main reason for this focus is that, in my evaluation of the current state of the family, it seems that it is suffering most of all from a disintegration of the natural goods and interests of each its members. Not only is there still, as always has been, the natural tension between the individual interests and the common good of the family (which results from the fact that a family is composed of selves who are, by that fact, potentially selfish), there is added a further tension between the goods of the husband-wife relationship and that of the parent-child relationship. Children are seen often as a distraction from or a burden on the relationship of the spouses, often even by those who happily bear such a perceived burden. Husbands can be heard too often to complain that their marriage is neglected by their wives in favor of the children, and wives might complain of their husbands no longer engaging in the romantic pursuit of earlier days. Even the children often seem to be lost within their own homes, especially as they approach adolescence, without being integrated meaningfully into the life of the whole family. A kind of apathy characterizes large portions of today’s youth, and no amount of doting upon them or micro-managing their affairs seems to make the difference. What real role do they play in the family? All of this creates a tension in which the parents constantly try to strike a balance between seemingly disparate aims within the family. They must mutually “keep the spark alive” between them, while giving all for the sake of their children. In the most extreme cases, the communion of life of the spouses appears as something wholly distinct and unrelated to the good of the parent-child relationship. For the husband and wife, a chasm is opened between their role as parents and their role as spouses, and too often the chasm claims real casualties. In the end, homelife ends up like the frontlines of a battlefield with conflicting interests vying for their due. Now there are surely many causes of this situation. We cannot ignore the extent to which basic human selfishness is at play. But it seems to me that one way of at least beginning to find resolution is by searching for an understanding of the goods of matrimony and the family which is integrating rather than disintegrated. Is there a way to understand the goods of matrimony and the family that allows us to see the diverse goods as ordered to an overarching and unifying end? Can the union of the spouses, in all its personal and psychological depth and intimacy, be meaningfully integrated with the truly magnanimous and self-giving call of parenthood? It seems to me that the answer is emphatically yes, and this understanding is precisely the understanding found in the immemorial teaching of Holy Mother Church. Matrimony, for Catholics, can be considered from two perspectives: as a natural institution and as a sacrament. Since the sacrament is the supernatural good of matrimony, as bestowing grace upon the natural union, my discussion of the goods of matrimony will first be concerned with the natural goods before moving on to discuss how they are taken up and brought to a higher perfection in the sacrament. As a natural institution and the condition imposed by nature upon human sexuality, matrimony is primarily directed to the bearing and rearing of children. My central thesis especially relates to this last end, namely, that of the rearing of children. This is absolutely essential for any integrating view of matrimony. Only after we develop a deep understanding of what it means to raise a child will we then develop a more ordered view of the family. According to St. Thomas, it is the rearing of children which demands of the spouses a lifelong communion of life and work. As the Second Vatican Council proclaimed in Gaudium et Spes, the bearing and rearing of children are together the “ultimate crown” on the union of the spouses. It is on account of this primary good that the spouses are to “render mutual help and service to each other through an intimate union of their persons and of their actions.” Thus the “intimate union” of the spouses is inherently directed toward the rearing of offspring, as a secondary good is directed to a primary good. As will be shown in greater depth in my next post, this truth helps resolve not only the issue of tension in the family considered above, but it is also at the heart of other modern confusions about marriage, including the practice of contraception as well as the attempt to redefine marriage. It is at this point that it becomes necessary to introduce the idea of “education,” which is another and more specific name for “rearing” as it applies to human persons. 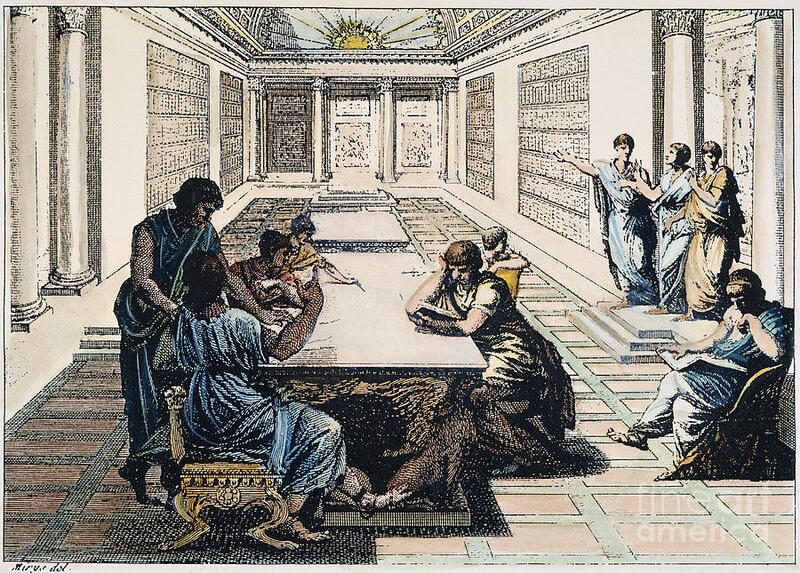 Education means a “leading out of” (ex, Latin “out of”, ducere “to lead”)-- a leading out of the shadows of ignorance, of slavery to sensuality, and into the light of reason, of wisdom, and of self-control. Animals do not need education to become what nature has designed them to be. Their rearing entails only that they be fed and protected and taught, unless nature has supplied sufficient instincts, to find their own food and a mate. Once an animal is able to survive on its own, its rearing is complete. Human beings, as rational animals, are directed to something altogether higher than animal life. They are directed to the good of reason, both as to their understanding and their action. The rearing of a human being is therefore only complete once they have attained the proper disposition of virtue. This is the reason, as every parent knows, that their children never cease to be their children. For as long as there is progress to made in virtue, there is need of further guidance and care. Therefore, parenthood for human beings is a life-long responsibility of the pursuit of virtue in the child. This is what “rearing” means when applied to human beings, and this is why it is such an integral good of matrimony. Without a lifelong communion of life and work between the spouses, without their pursuit of virtue for themselves and one another, how could they possibly hope to achieve this primary good of matrimony, the good of rearing truly virtuous offspring? Nature demands, in order to bring about the full fruit of human sexuality, that their be a lasting and intimate union of a man and a woman. The education of children, as we will see in greater depth throughout the series, is the very basis in nature for such a union. Following that line of thinking, this series will culminate with a consideration of education itself, both as a natural end of matrimony and as a social institution. Rightly understood, the latter must flow from the former, just like positive human laws must flow from natural laws. Any infringement in this regard will necessarily result in a fracture within the family itself, leaving parents unable to fulfill their natural end of properly rearing their children, and the child without his natural right to be properly reared by his parents. A corollary to restoring a rightly ordered view of matrimony, therefore, is to restore to parents all the rights and responsibilities of the education of their children. Any institutional education should take the form of the handmaid of the parents rather than their master. Accordingly, the very last item to be considered will be the various models of education found in our world. We will evaluate their ability to maintain a proper relationship between the institution and the family, as well as the ability of their methods and curriculum to be useful tools in the hands of parents attempting to truly educate their children as rational beings whose common end is life in accord with perfect virtue. I hope this introduction serves to provide an overview of the line of thinking that will pursued over the next few weeks. I hope it also allows the readers to get a head start thinking of questions, comments, and objections to this line of thinking. May the dialogue be fruitful! With all the recent confusion about matrimony in the news, whether it be on the issue of so-called homosexual marriage, or else about the upcoming Synod on the Family (for which we should all be praying and fasting), it seems useful to begin a discussion on the topic. What I am particularly interested in exploring is the interrelation between matrimony and another hot-button issue of our day -- education. According to traditional Catholic teaching, the education of children is considered as belonging to the goods of matrimony, and therefore all rights and responsibilities regarding education naturally belong to the parents themselves. I will also attempt to show that many other controversial issues find resolution from a corrected understanding of matrimony. To paraphrase Aristotle, one small error here will cause manifold errors there. One of the chief ailments of the modern mind is the inability to discern this relation, leaving us too often helpless to address the true heart of an issue. In order truly to go about healing some of the self-inflicted wounds of our society, it is necessary to trace these errors to to their common roots. Because Matrimony and the related issues are so wide-ranging, I plan to post my considerations in sections over the course of a few weeks. This will allow for a more poignant discussion by giving us all the chance to absorb and weigh in on the ideas presented. Please feel free to comment and ask questions on each post, as long as they are civil and conducive of dialogue. As it stands, this post will be the first part of what is panning out to be a four part series. I intend in this first part to introduce some of the specific questions with which I will be concerned and the general direction I will take to attempt to answer them. I will also provide a list of resources of which I am making use. Of course, I recommend that readers go through them for themselves both before and after engaging with my own interpretation and evaluation of their contents. If the so-called “unitive good” is elevated to the point of being equal to the good of offspring, and if therefore the conjugal union (more often and tellingly called “sexual union” today) is thought to be a good wholly apart from being essentially ordered to the primary good of conjugal acts, then the way is made clear for matrimony to be defined as nothing other than a commitment between two people who feel “united” in their sexual relations with one another. On the other hand, if we maintain the traditional ordering of the goods of matrimony, it becomes obvious why such redefinition of marriage is impossible. Unfortunately, even among conservative Christians, many seem to hold the idea that the unitive and procreative goods of matrimony are equal, or what is worse, even that the former has primacy over the latter. Saint John of the Cross Academy (SJCA) facilitates classical tutoring for Catholic families. As a tutorship, the Academy is committed to training its pupils on an individual level, the only level at which real active learning takes place. Modern schools have made such learning impossible as classrooms have turned into lecture halls in which students are not held accountable for their learning but, instead, are made passive observers of lecturing teachers. It is for this reason we the SJCA tutors have avoided the label “school.” Instead, SJCA is called a tutorship--an academy facilitated by tutors. Unfortunately, the words “tutor” and “tutorship” can be misleading. Given the current usage of term “tutor,” it is no surprise that many interested families have concluded that SJCA tutors do not provide a comprehensive curriculum for its pupils, but only intermittent assistance. The term “tutor” in current linguistic use connotes a part time, remedial teacher, hired at an hourly (often ungodly) rate to assist those students who are struggling in one subject or another. As commonly understood, a tutor is a temporary fix. This is not the classical meaning of the term “tutor”. In the classical Western tradition, a tutor was responsible for his pupils’ intellectual formation.1 He was not understood as a part time, remedial teacher. C. S. Lewis, one of the last men to be classically tutored, describes the comprehensive formation of his tutor. He was classically formed by his tutor W. T. Kirkpatrick, dubbed “the Great Knock.”2 The Great Knock molded Lewis in the classical tradition as a personal teacher every day for several years. He demanded precision. Ever questioning, coaching, correcting and challenging the boy in his academic exercises, the Great Knock would allow no half-measures. There was no hiding from the Great Knock. The SJCA classical tutor is responsible for his pupil’s intellectual formation in the Classical subjects of Latin/Composition, Mathematics, History, Science, Literature, and Theology. He is not a remedial, temporary fix for the struggling pupil. On the contrary, he provides the entire curriculum created for each individual pupil, guiding and prodding him at each step of his studies. Like the Great Knock, he allows no half-measures, ensuring that the pupil has mastered each exercise before graduating to the next. Demanding precision and perfection, the tutor is committed to the overall formation of his pupils. Each SJCA tutor informs parents of their child’s academic strengths, weaknesses, gifts, and interests every week. They should be viewed as instruments in the hands of the parents. The tutors are the tools that parents utilize to train their children in the classical tradition, a tradition sustained and enriched by the Roman Catholic Liturgy and Creed. To be clear, Saint John of the Cross Academy provides an exhaustive classical curriculum whose tutors function as personal teachers to their pupils at every stage of their academic development. Utilizing the SJCA tutors as instruments of spiritual and academic formation, the parents of the Academy cultivate and preserve the Western, classical tradition of the Holy Roman Catholic Church. Written by Nick Trosclair, Co-founder & Tutor of Saint John of the Cross Academy. 1 The Latin Tutor "watcher, protector, or defender" ; tueor "see, examine, or consider.” A tutor is guardian of tradition.